Dr. Zhenguo Huang received a Ph.D. at the University of Wollongong in 2007. This was followed by a postdoctoral appointment at The Ohio State University in the U.S. In 2011, he won a Discovery Early Career Research Award (DECRA) from the Australian Research Council. He is a Research Advisor appointed by the National Institute for Materials Science, Japan, and a recipient of the Humboldt Research Fellowship for Experienced Researchers (Alexander von Humboldt Foundation). His research is centered on boron chemistry for energy conversion and storage. 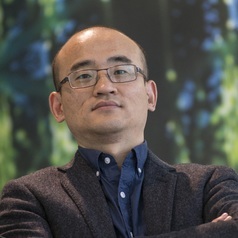 His research interests are in the fields of hydrogen storage materials, electrolytes for Na-ion, Mg, and Mg/Li+ hybrid batteries, and 2D boron-based nanosheets. His breakthroughs in hydrogen storage and Na-ion batteries have been successfully commercialized in partnership with Boron Molecular, a specialist chemical manufacturer. This success has been recognized by the UOW Vice-Chancellor’s Award for Outstanding Achievement in Research Commercialisation, Impact and Engagement.